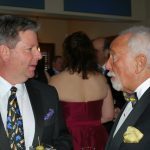 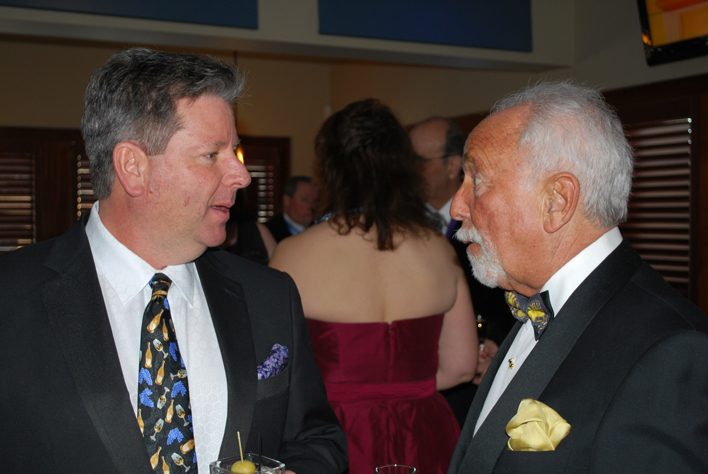 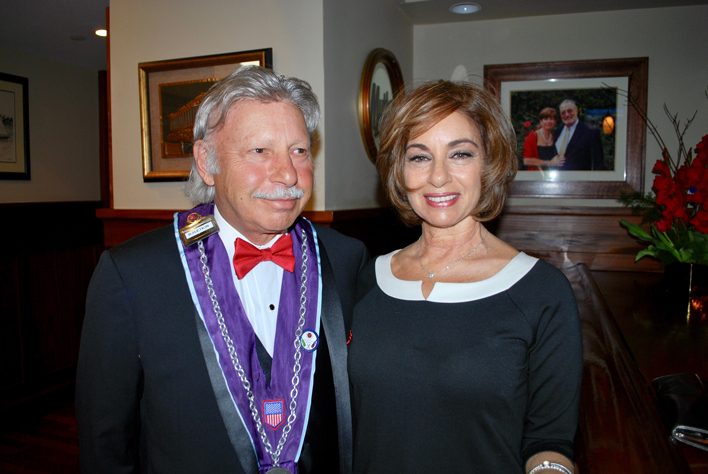 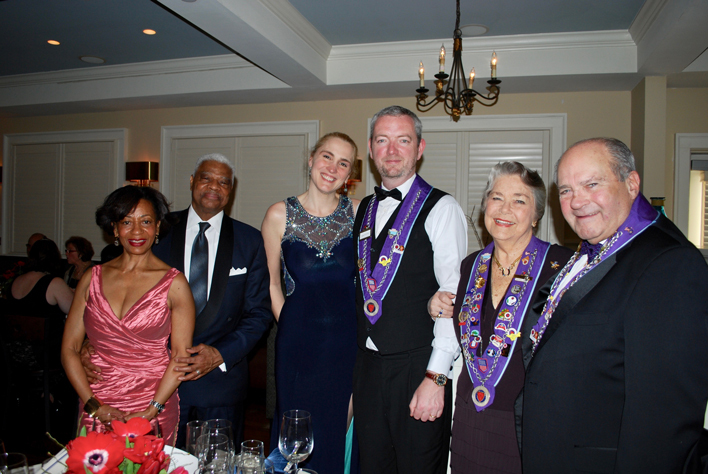 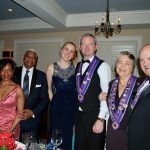 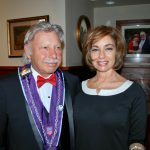 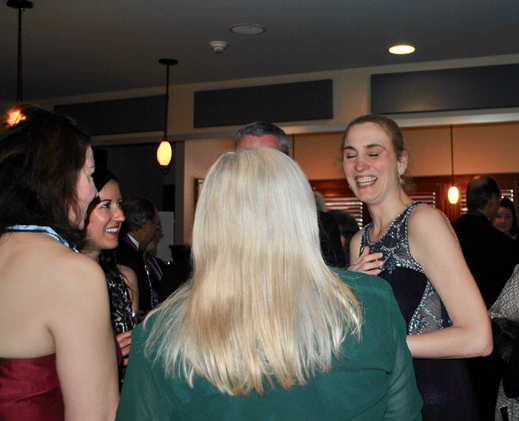 On Sunday, March 19, 2017, 48 members and guests of the Albany Chaine convened at Athos Restaurant in Guilderland, NY, just outside of the Albany city limits. 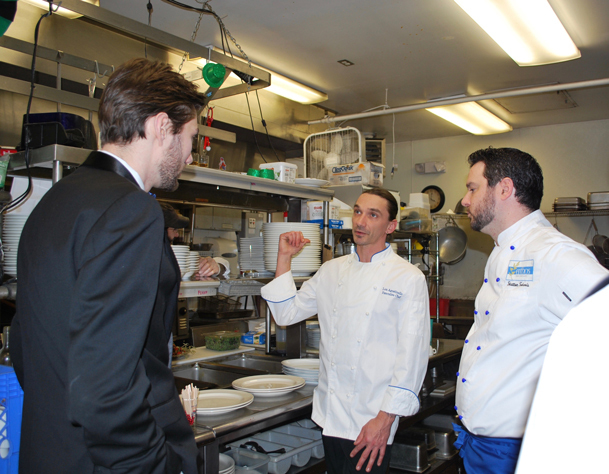 The kitchen is overseen by the unflappable Lou Agostinello, a CIA trained Executive Chef. 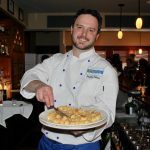 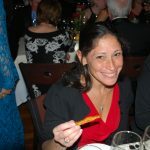 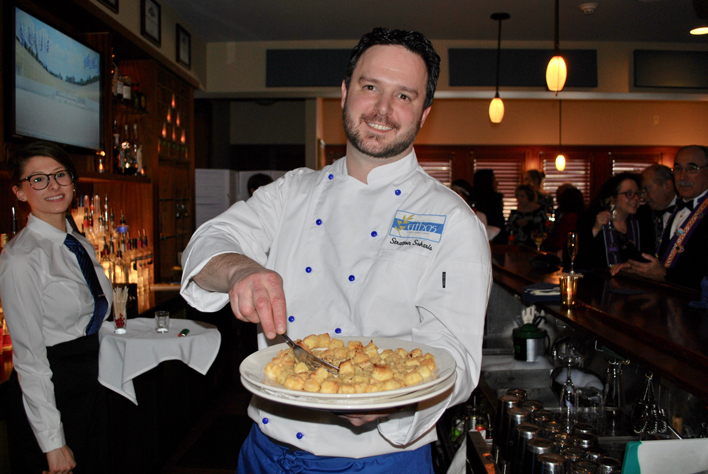 Chef Lou has worked under some of the finest chefs in the country, including Albany’s own Certified Master Chef and Maitre Rotisseur, Dale Miller. 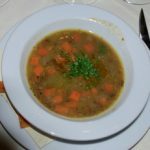 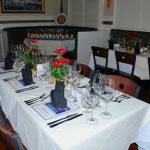 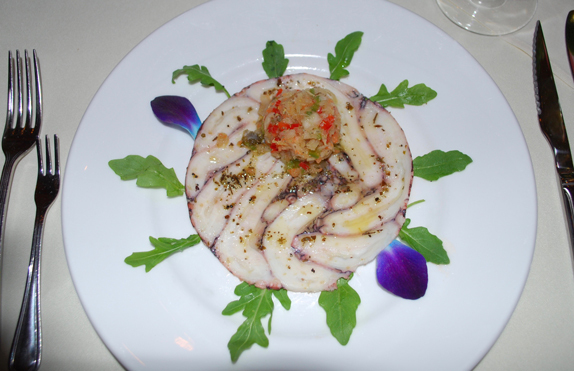 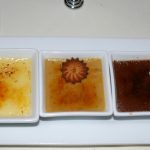 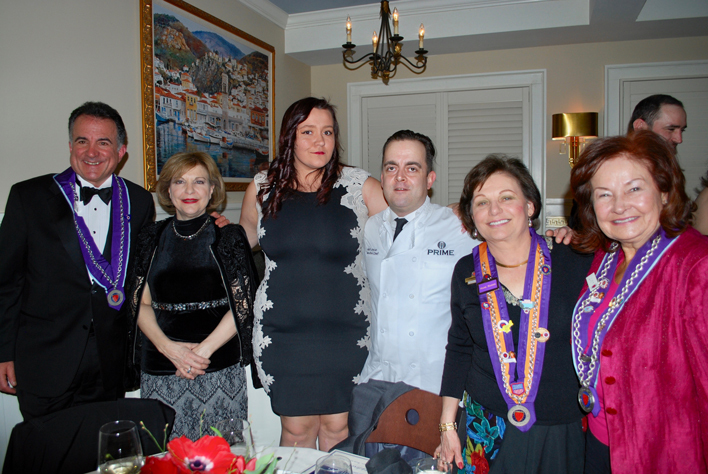 While Athos is unquestionably a Greek Restaurant, Chef Lou, who is skilled in the cuisines of France, Italy and America, brings many of those talents to bear in the restaurant’s regular menu and these touches were evident as well in the menu he created especially for our Chaine dinner. 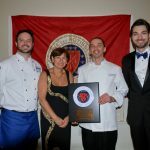 Owners Sophia Sokaris and Stratton Sokaris, General Manager Chris Cropsey as well as Chef Lou and his team eagerly prepared for this dinner and it showed in the attention to detail, quality of the food, warmth of the personnel and the many “extras” that the restaurant provided for our group. 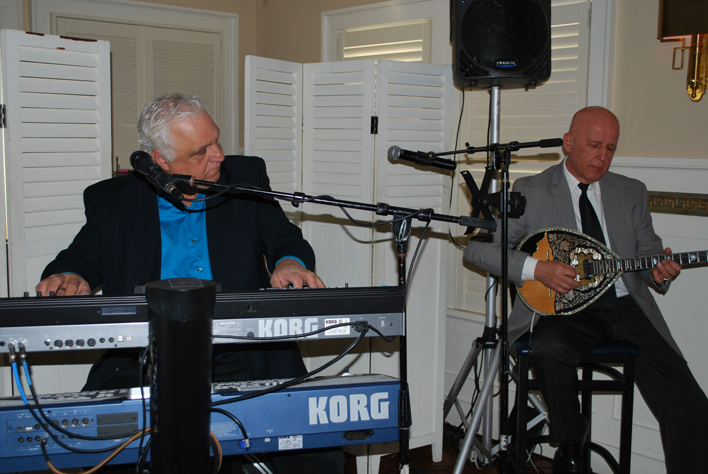 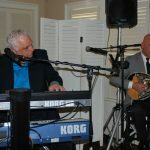 The restaurant furnished a two-piece musical group, “The Aegean Duo” to entertain us with Greek music during both the reception and the dinner. 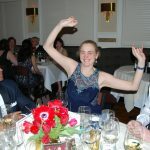 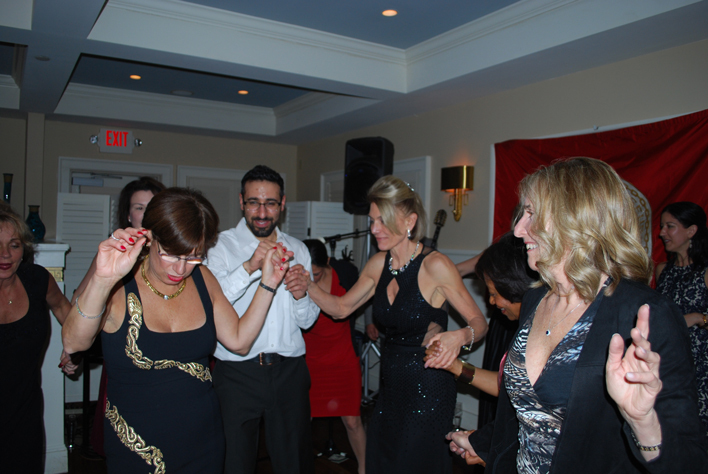 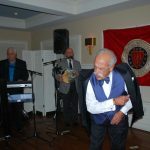 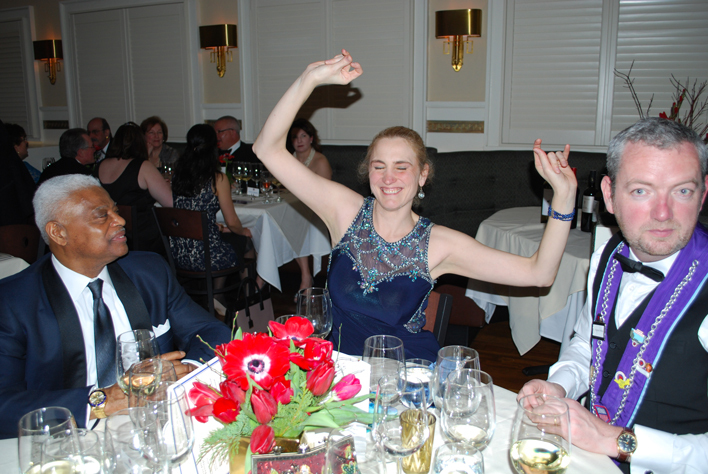 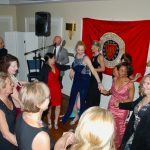 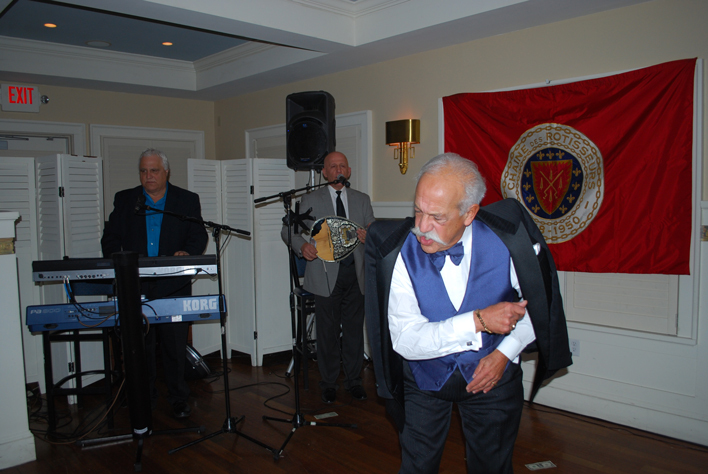 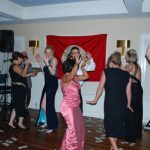 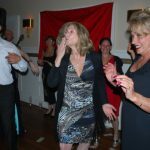 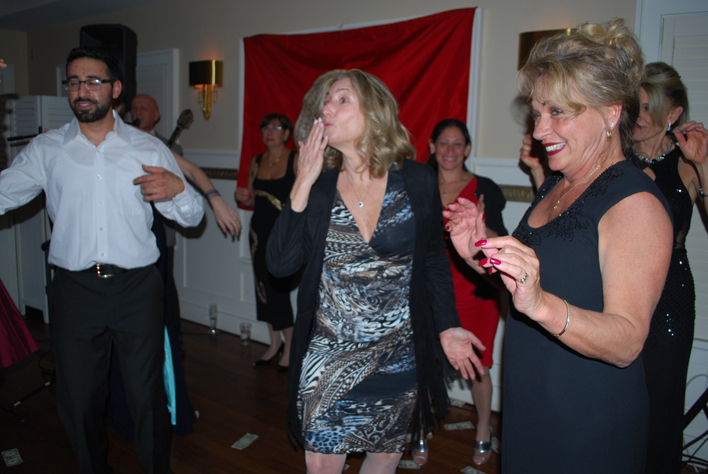 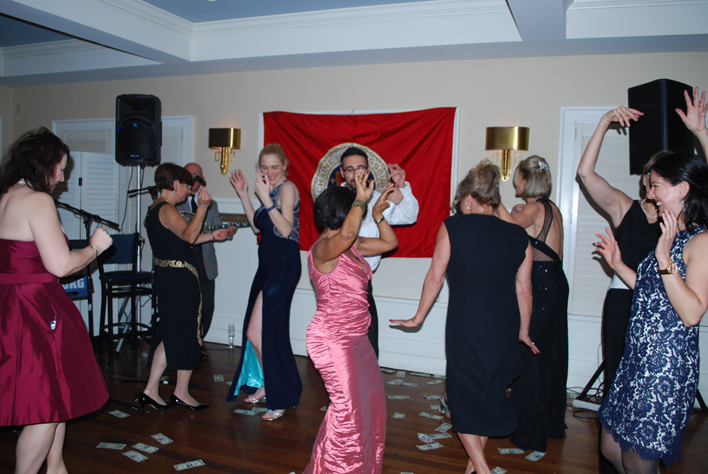 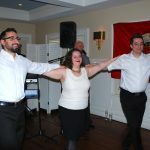 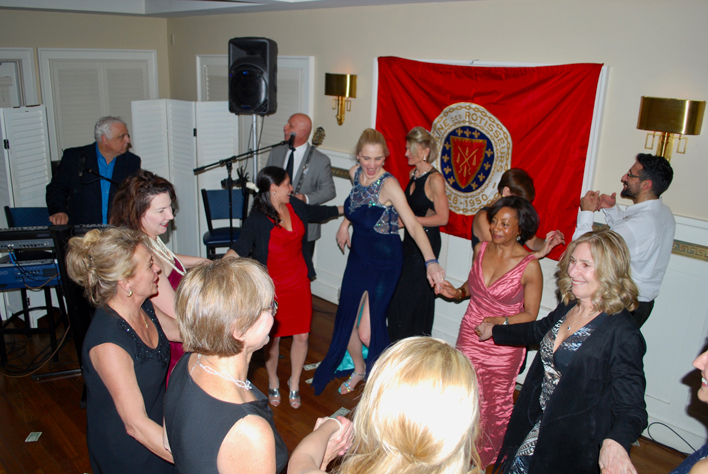 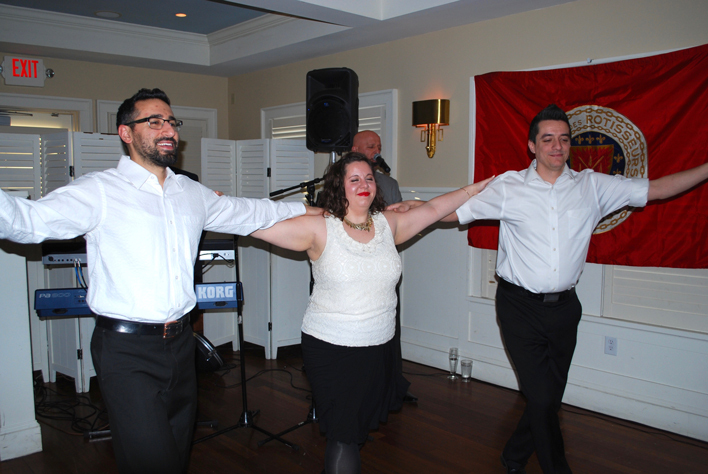 Three local dancers demonstrated traditional Greek moves on the dance floor and enticed many in our group to join them. 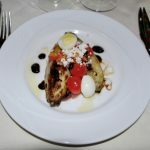 Upon departure from the restaurant, we were presented with bottles of extra virgin olive oil cultivated in the owners’ orchard in the old country. 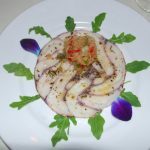 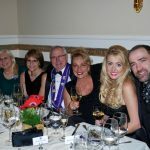 The seven course dinner was truly delightful with courses ranging from an attractively presented and tender octopus Carpaccio to a spectacular domestic lamb chop that was perhaps the best that any of us had ever experienced. 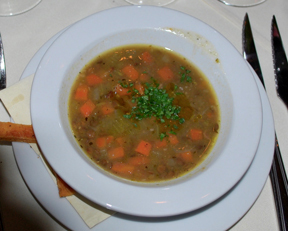 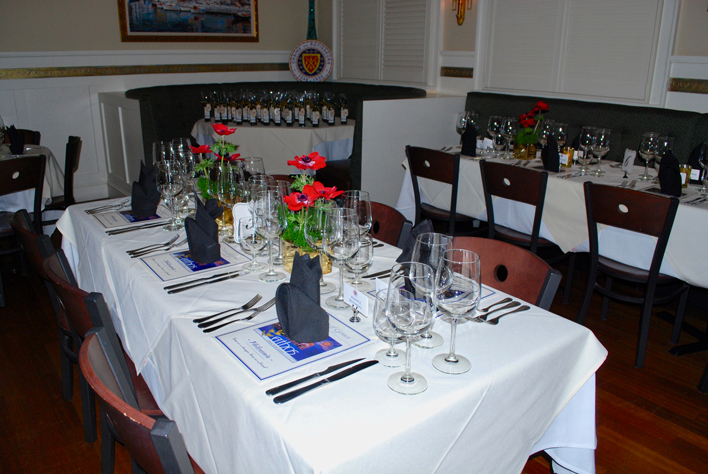 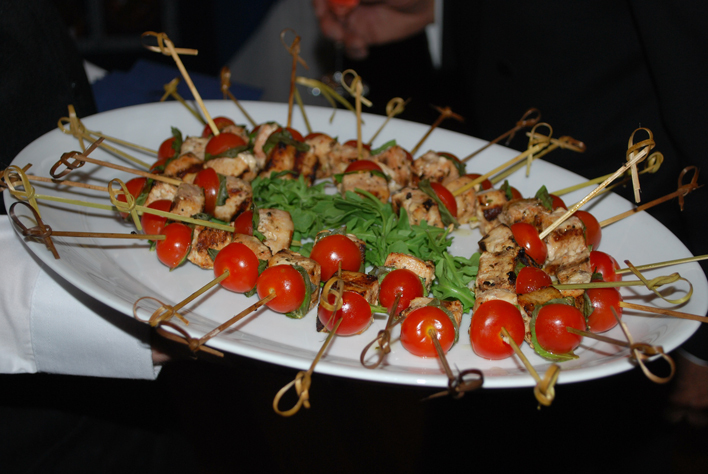 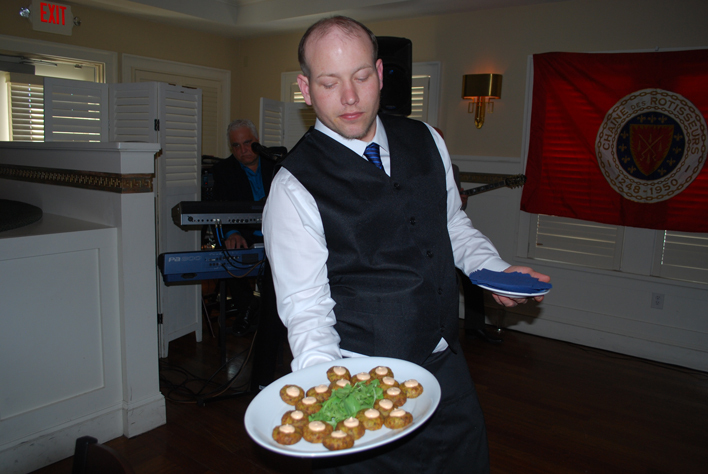 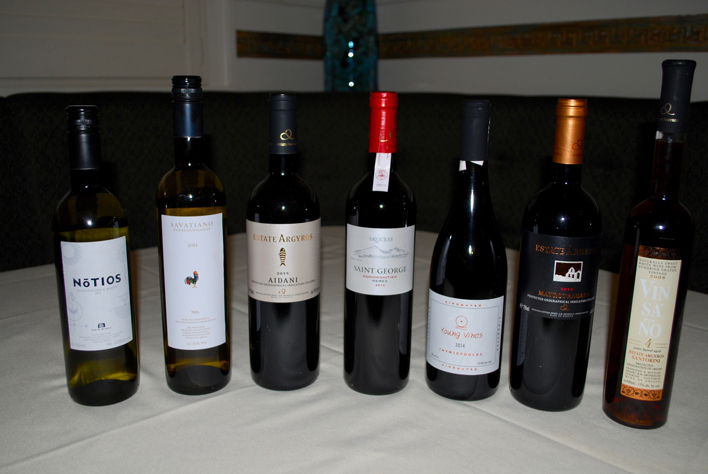 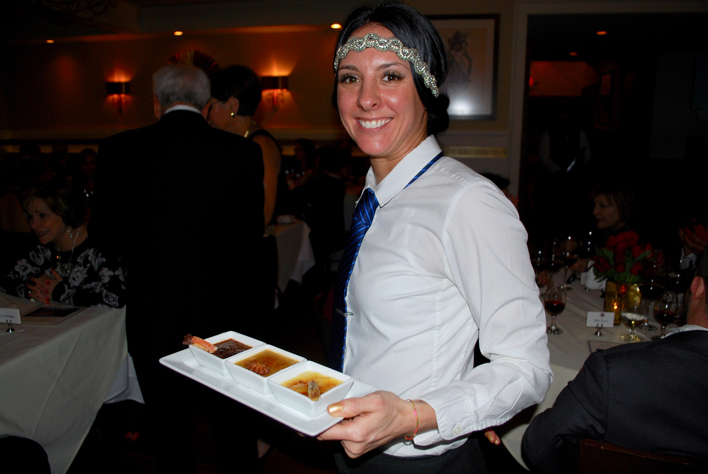 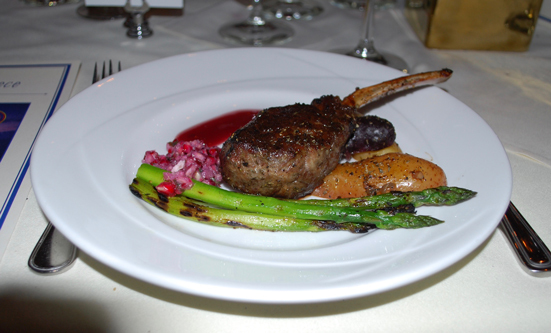 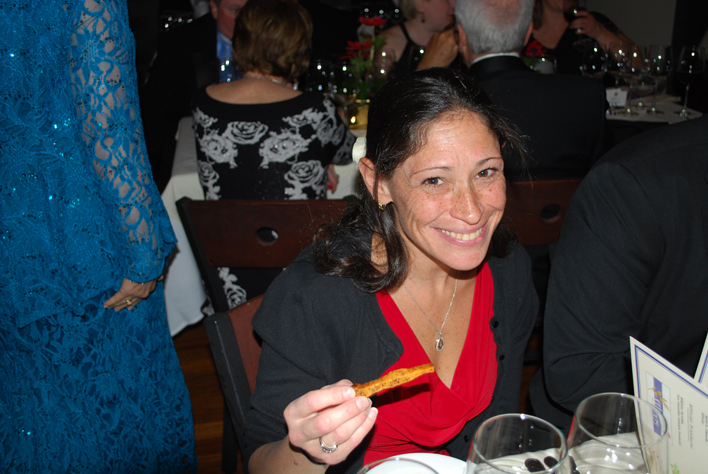 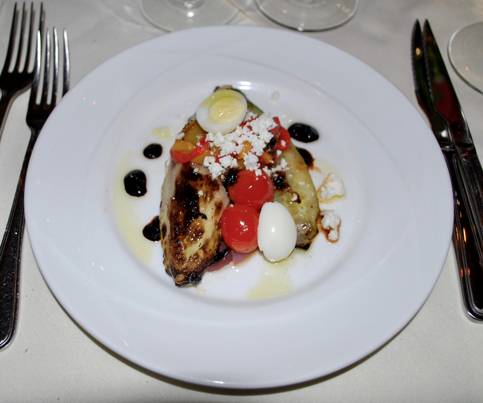 Each course was accompanied by a Greek wine, carefully selected to compliment the food. 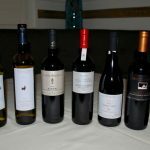 Many in our group were unfamiliar with these wines and were astounded that the wines of Greece could be so delicious and food friendly. 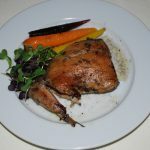 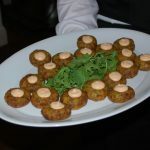 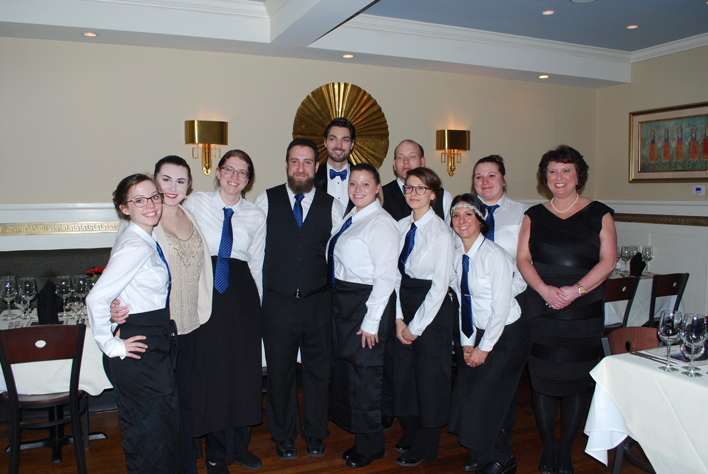 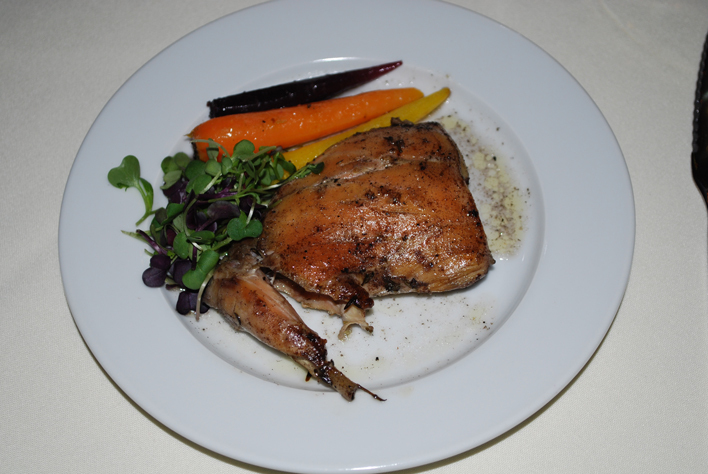 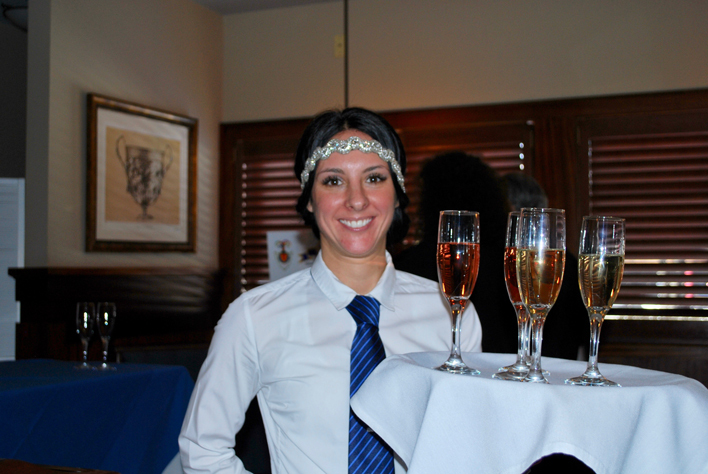 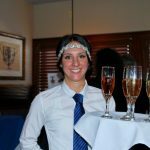 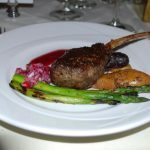 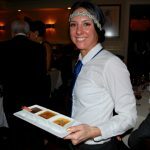 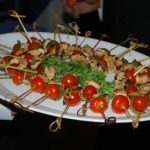 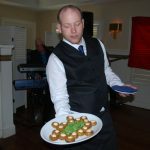 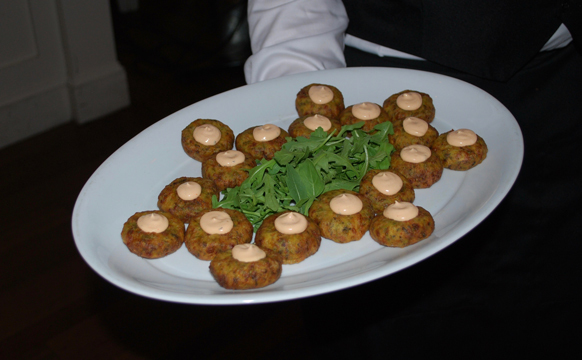 The service staff, although youthful, was personable and efficient throughout, and the pacing of the meal was exemplary. 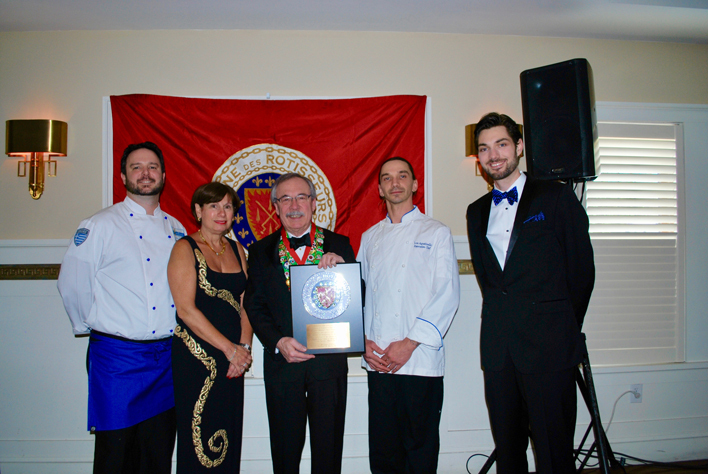 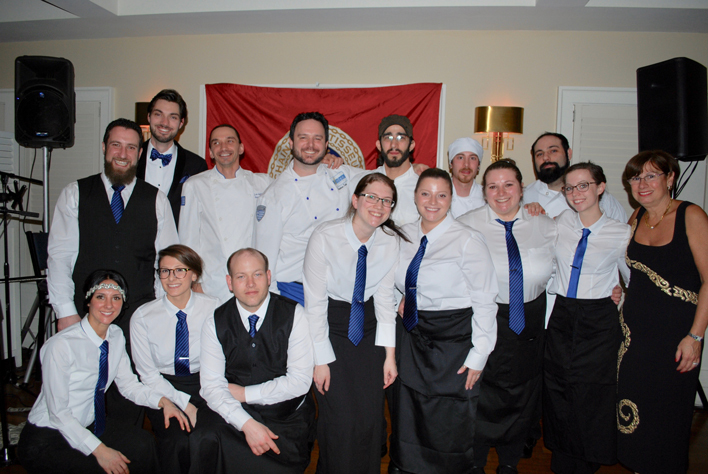 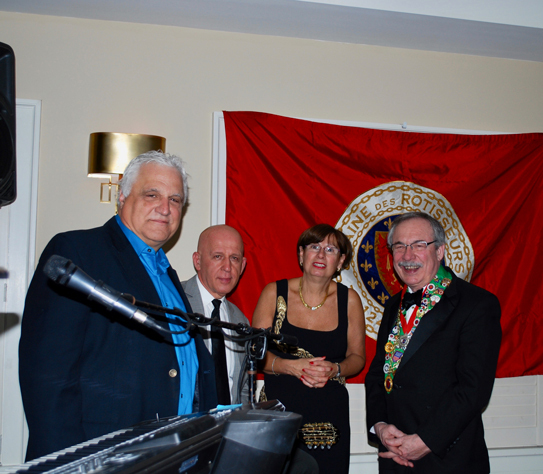 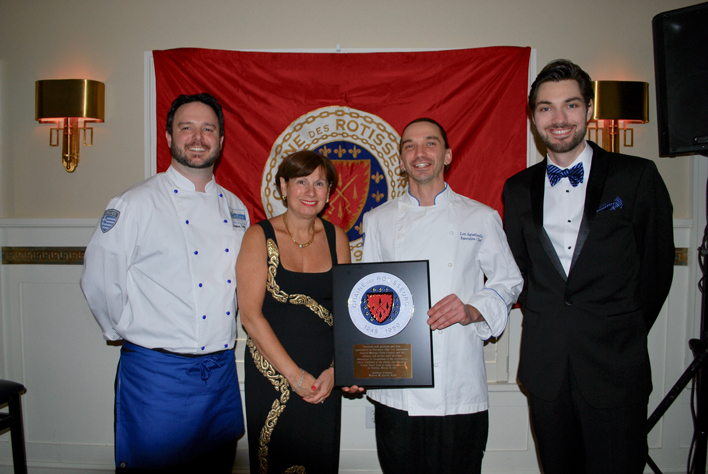 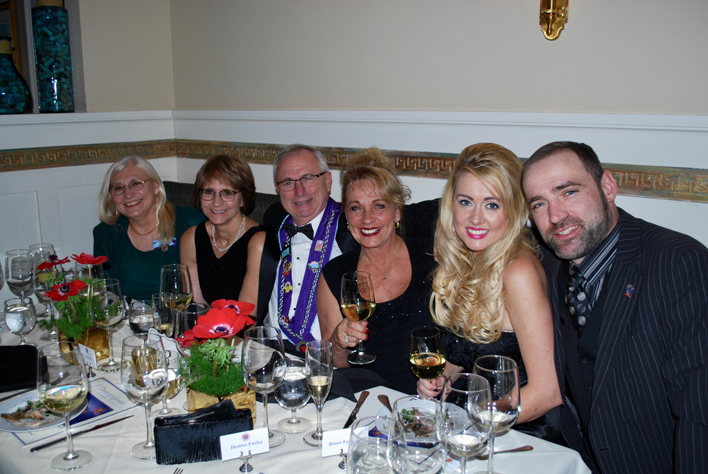 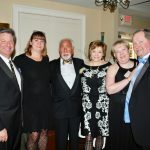 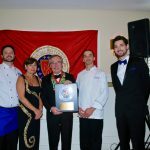 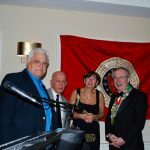 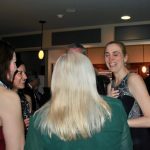 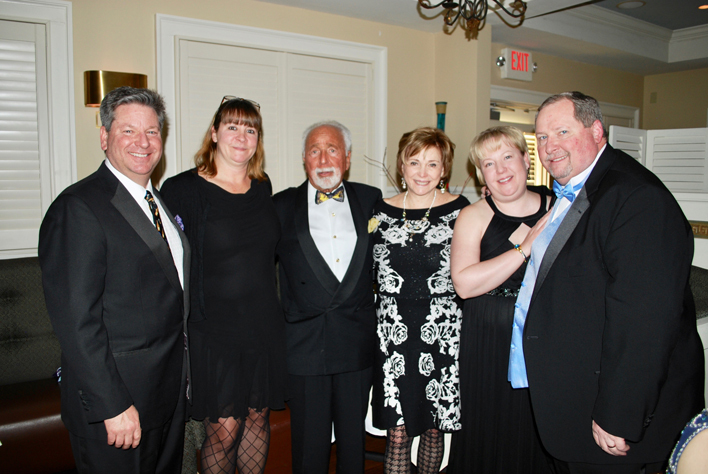 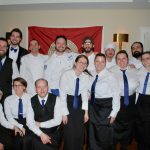 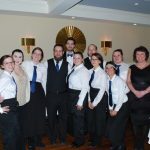 At the conclusion of the dinner, pins were distributed to the service staff and culinary team, and Bailli William Harris presented a Chaine plaque to the owners, general manager and Chef Agostinello to sustained applause from the appreciative throng.